Home » Design blog » What is search engine optimization (SEO)? A process that helps increase the visibility of a website through keyword searches on search engines such as Google, Bing, Yahoo and more. There are a lot! Proper search engine optimization starts at the beginning stages of a websites development. Planning for high value keywords, long tail keywords and site structure can help search engines to better understand what your website is all about. There are tricks to getting the top spot on Google but generally it’s common sense. “Content is king”, you may have heard the phrase but it’s the best way to get the ranking you desire. Give your intended audience what they want, which is meaningful and in depth content about the topics and keywords they’re searching for. See our post on Holistic search engine optimization to learn more about best practises. Learn how Google Search Works. Do you want your business to rank highly on the search engines? 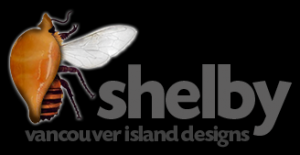 Get a quote for a custom WordPress website built by Vancouver Island Designs and expect more from your website.